During the second half of the 19th century, Andrés Brugal Montaner, a Spanish national who had migrated from Sitges, Catalonia, Spain to Santiago de Cuba, decided to move to the Dominican Republic and take up permanent residence in Puerto Plata. While in Cuba, Don Andrés acquired expertise in the making of rum, and based on that experience he founded Brugal & Co. in Puerto Plata, the company produces several different kinds of rum. After introducing its dark rum into the market in 1888. It would mark the beginning of a long family tradition. Don Andrés, unknowingly, would become the forebearer of entrepreneurial leadership in Dominican society. In 1920 the company's first warehouses were built for the ageing of rum in oak barrels. By 1976, with Extraviejo, the company developed the Premium rum segment in Dominican Republic. 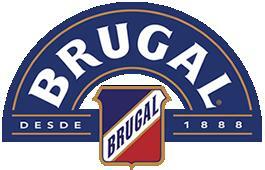 In 1998 Brugal & Co. launched Brugal Limón, Brugal Pasión and Unico. In 2005, the company launched 5-liter steel dispensing barrels for its medium and low-tier brands.